So this post went up a little early, when it was just pictures. I apologize for that, but I am rather proud of these models and pictures. Finally got these over the line, mainly as I didn’t want to do 20 decals on the shoulders. Oh how I dislike putting transfers on marines shoulder pads. Tiny little curved jerks! So Micro Sol and Micro Set were applied and relief lines cut into the decals to help them conform. 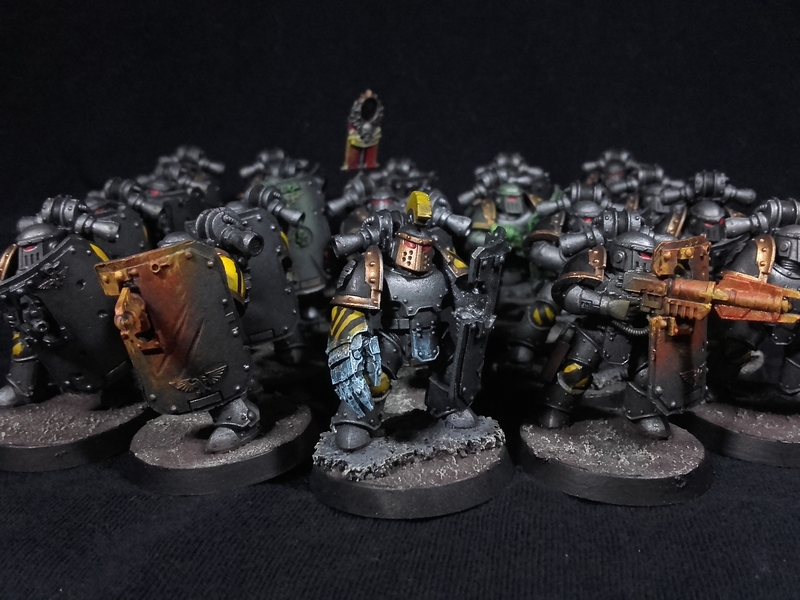 Possibly the more stand out thing is the object source lighting (OSL) on the weapons. I always knew I wanted them to stand out from their fellow marines. The grav guns, which will double as plasma in 40K, got a nice green glow. All fairly basic. But for the metla guns I wanted people to see the heat. 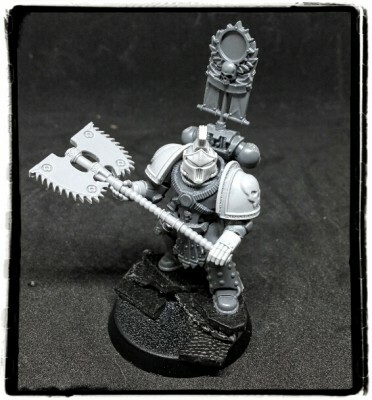 Now do I get a Shadowsword for this army as a personal transport for Perturabo or a pair of Leviathans? 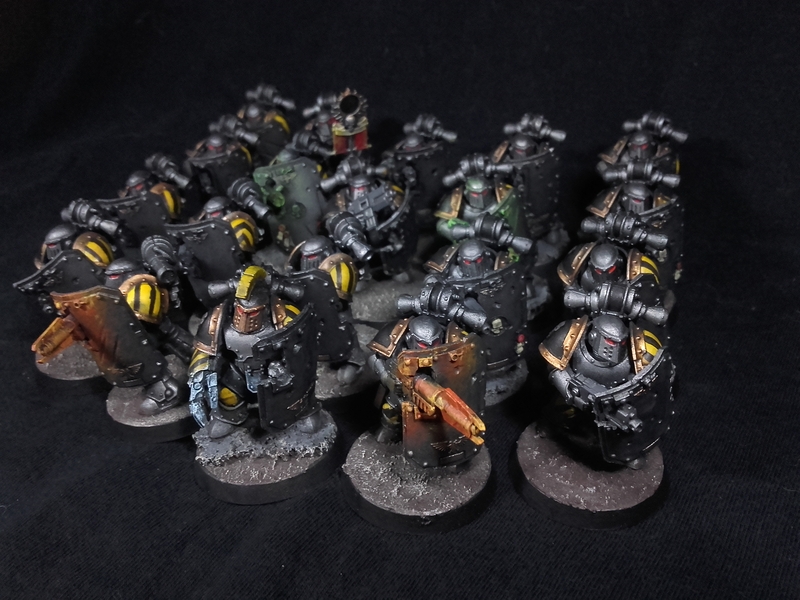 There are a lot of ways to make a good Iron Warriors army, from footsloggers to heavy assault or full on artillery. Personally I will be trying to stick with models I can use in both the Horus Heresy and Warhammer 40,000. 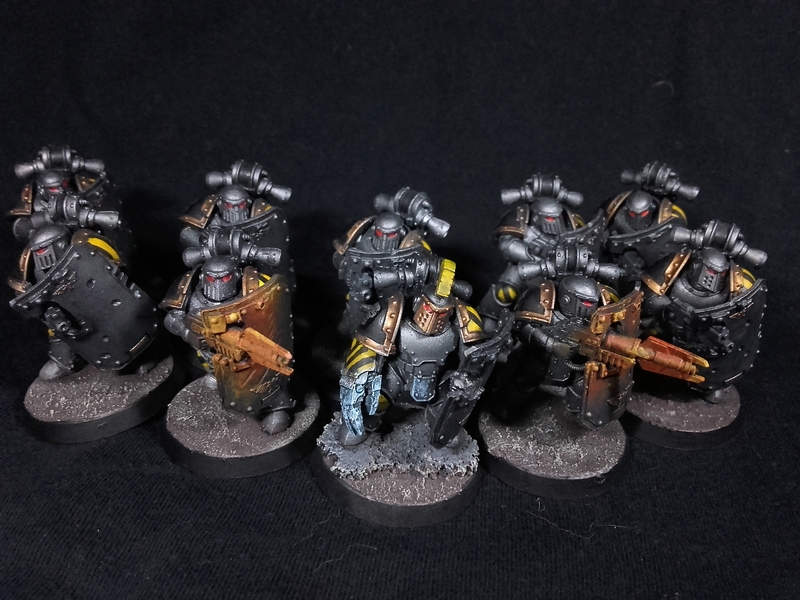 For the Breachers I can just ignore the shields and split them into four five man squads with a special weapon each. 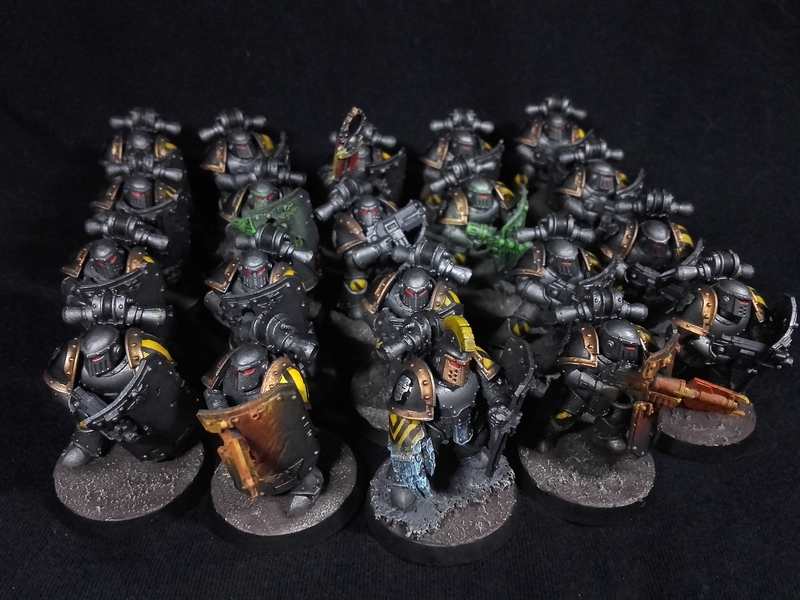 The scheme for my Iron Warriors is a lot brighter than my previous units, such as my Destroyers and Iron Havocs. 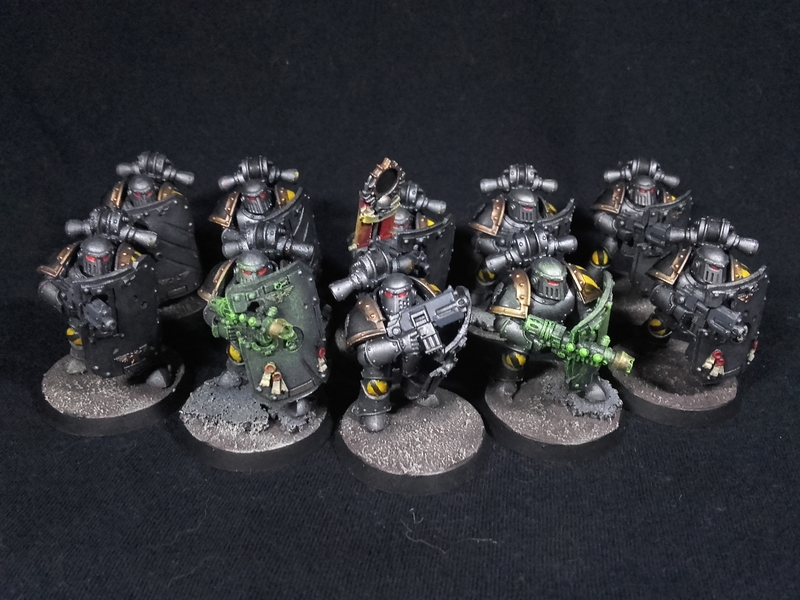 I ;like this slightly lighter look to them, not sure I will repaint the others but this is a scheme I will stick to going forward.